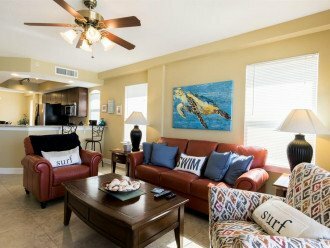 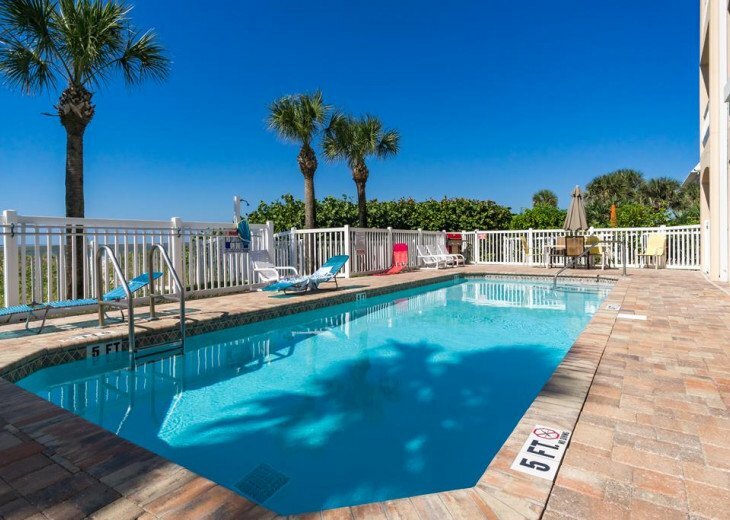 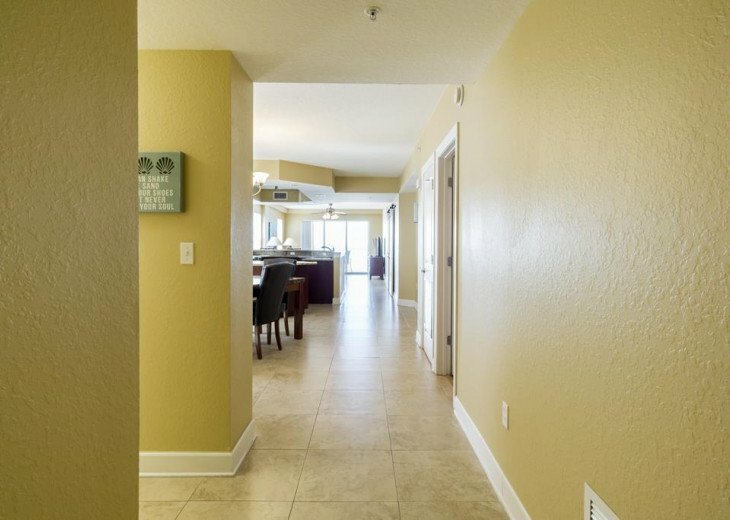 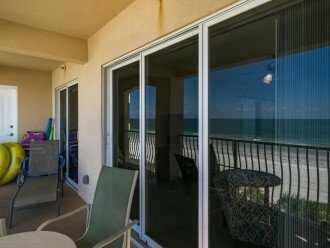 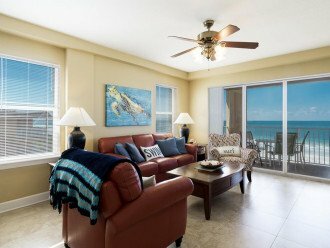 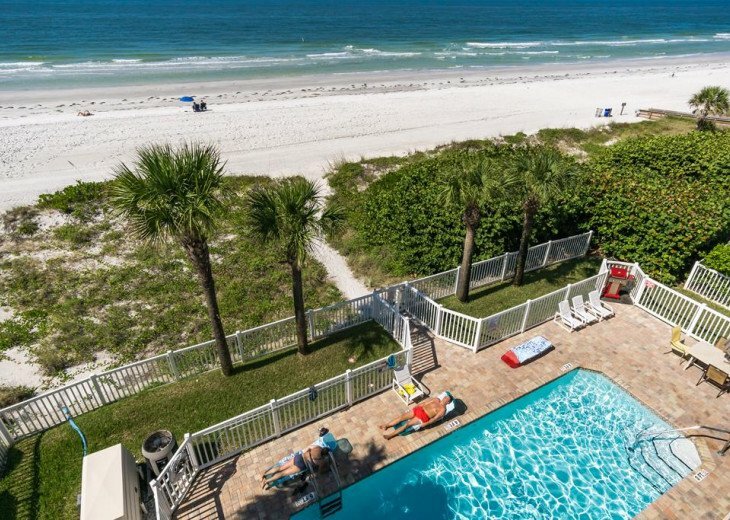 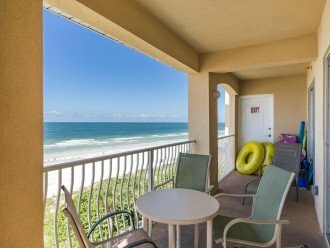 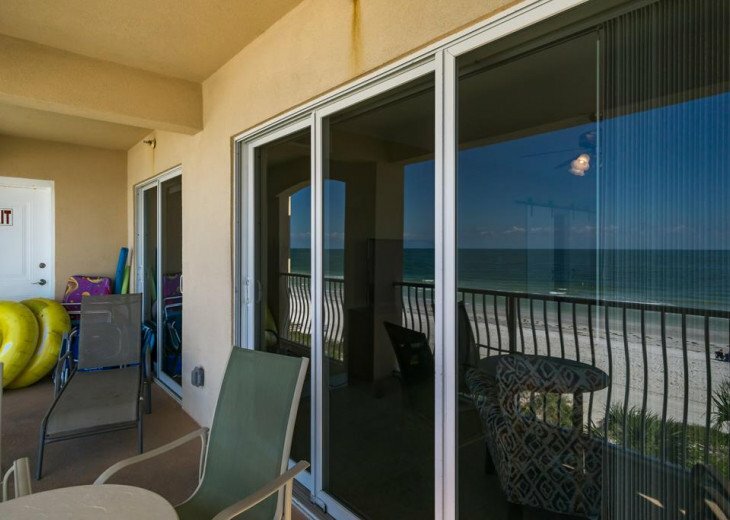 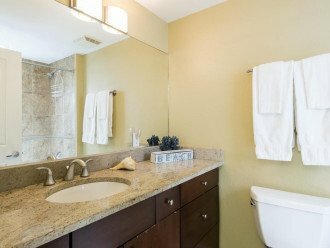 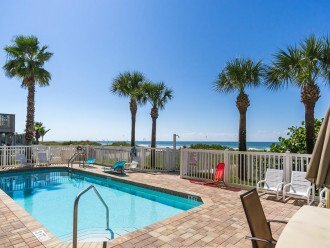 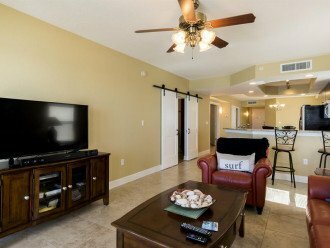 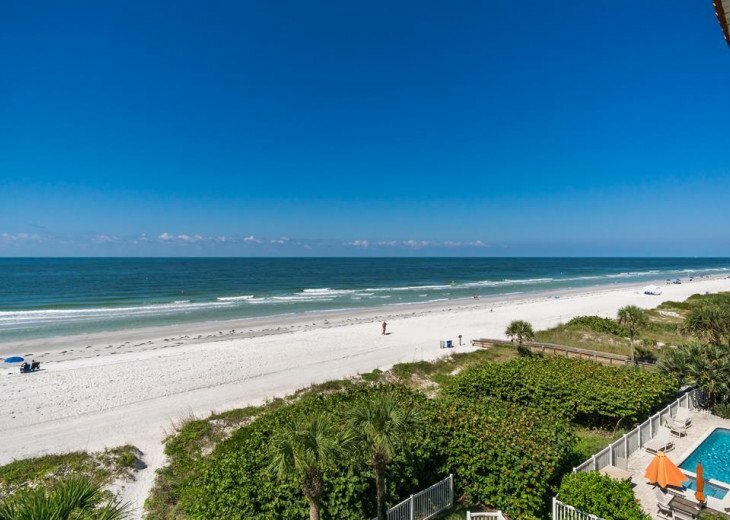 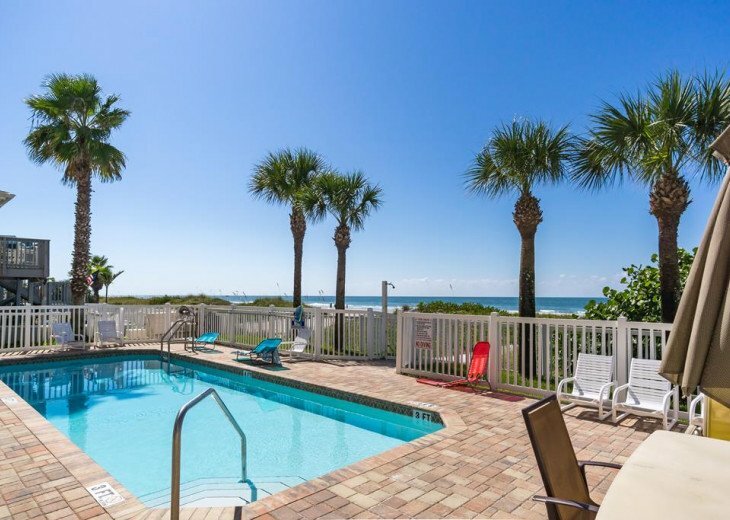 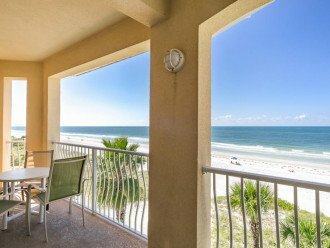 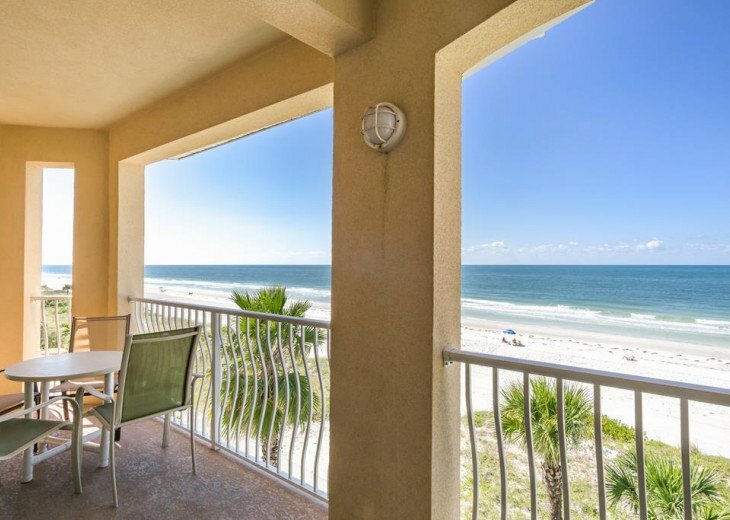 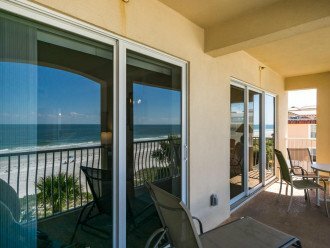 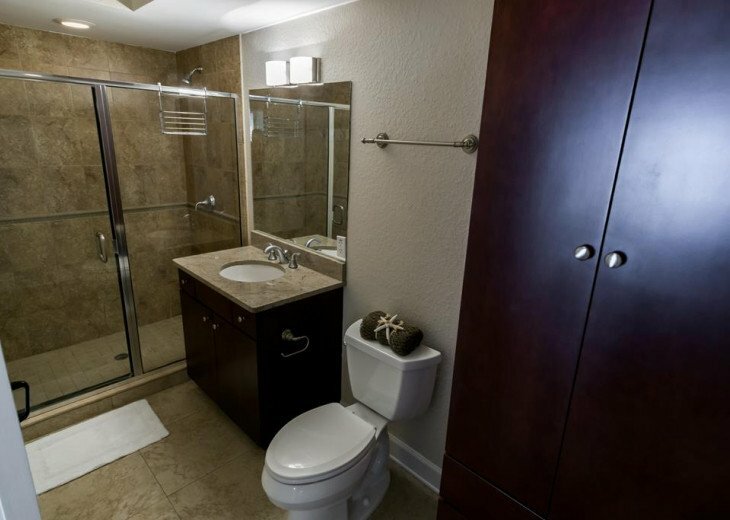 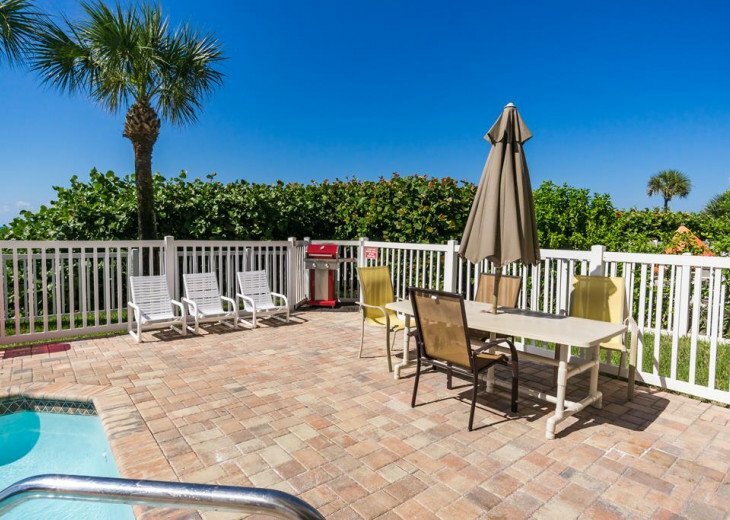 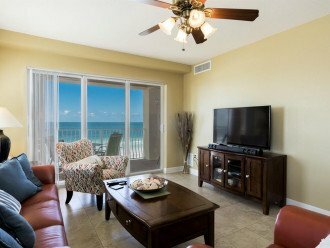 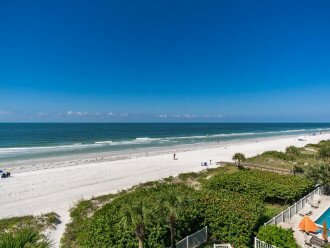 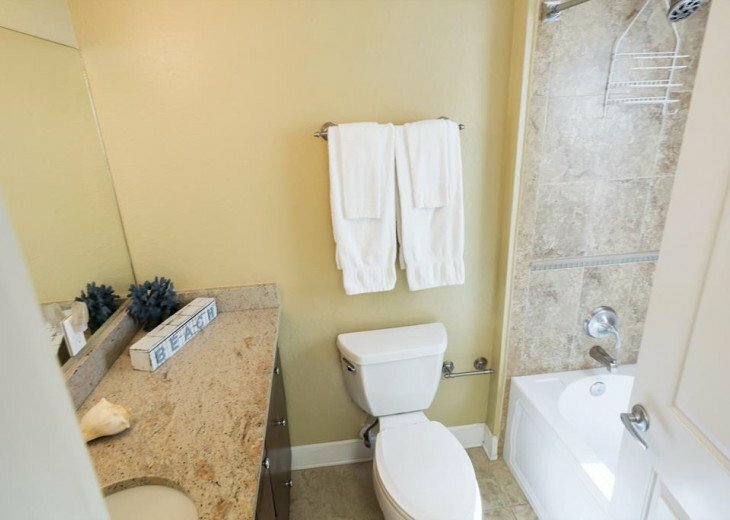 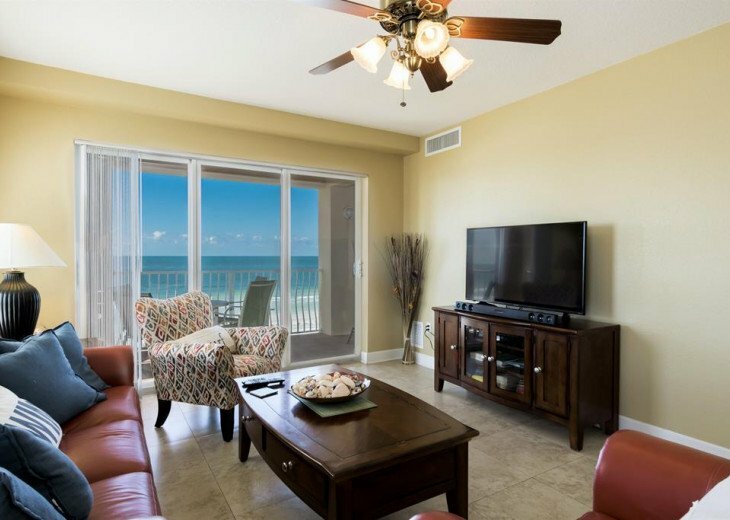 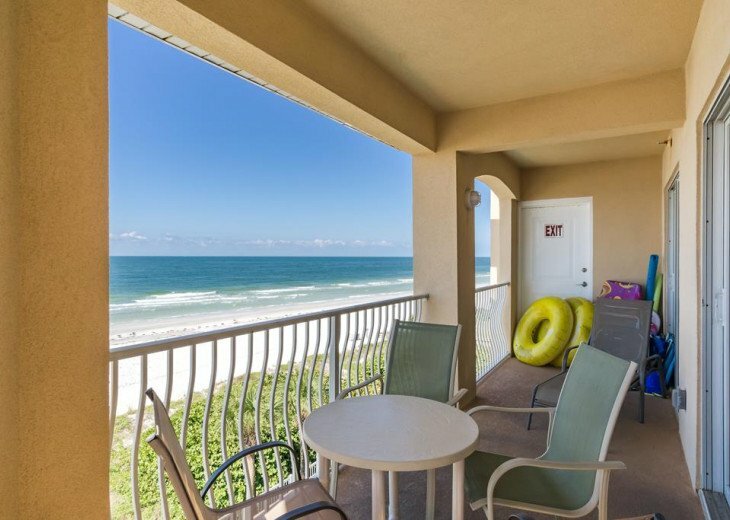 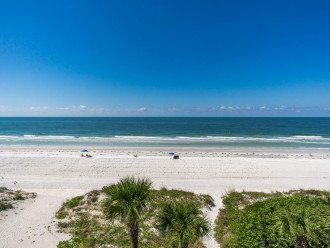 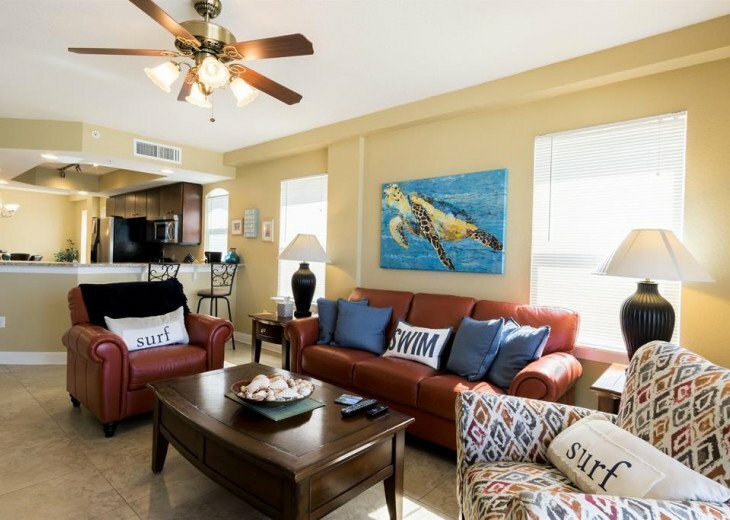 This direct Gulf Front southwest corner unit will be your piece of paradise. 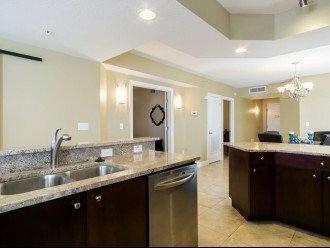 The spacious and bright 3 bedroom 2 bathroom unit with private balcony has everything you need to make memories of a lifetime. 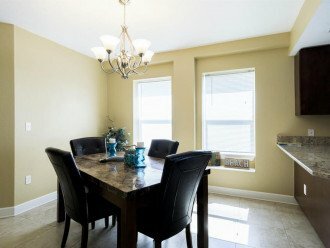 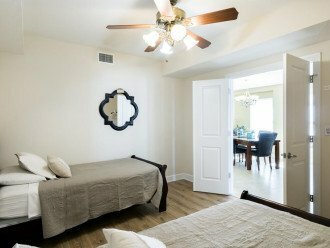 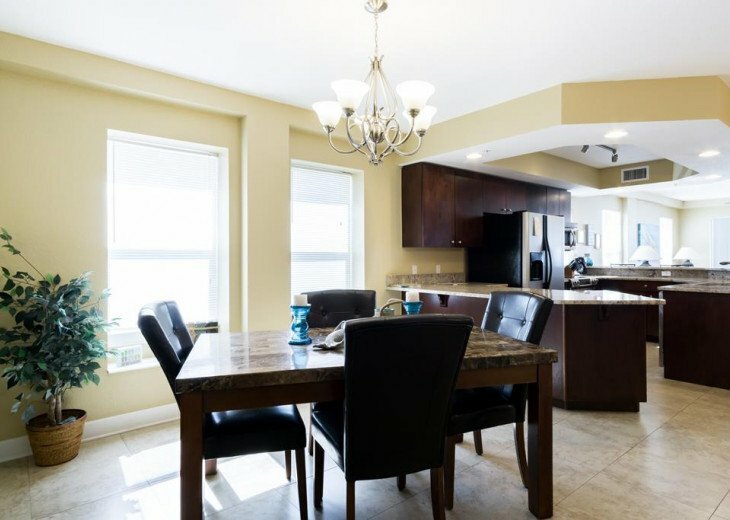 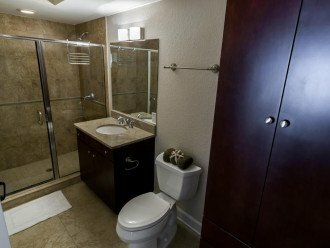 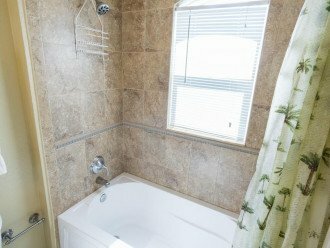 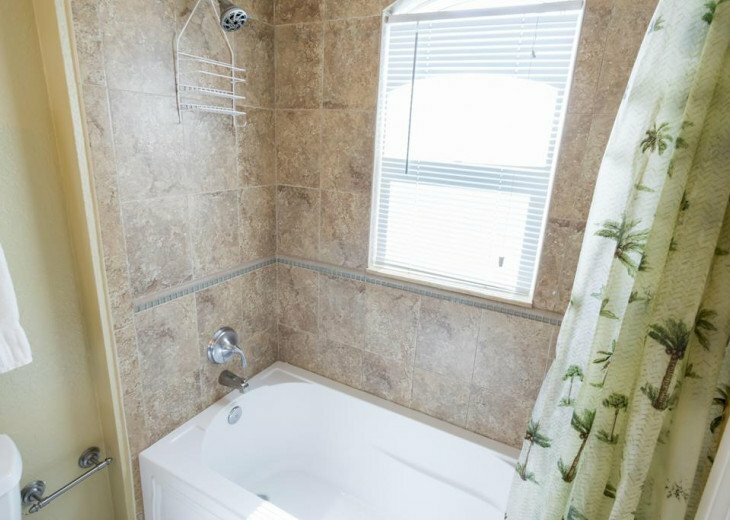 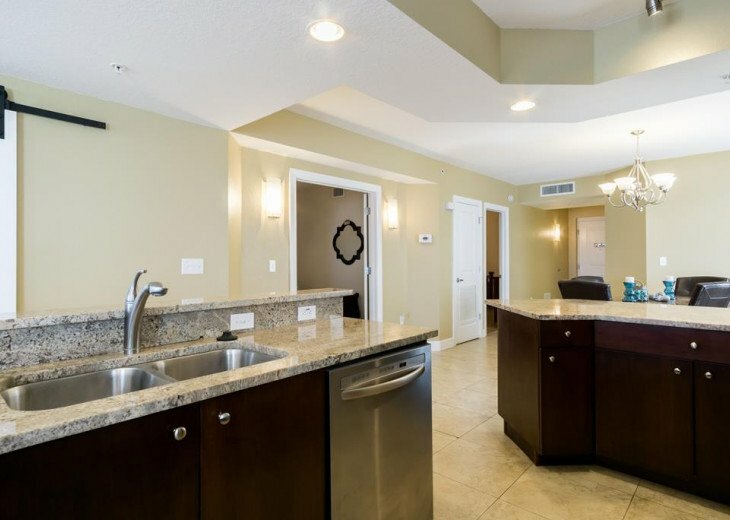 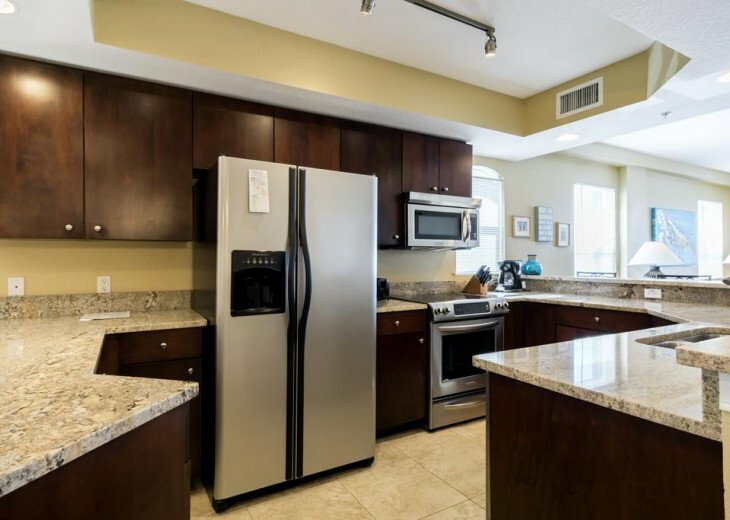 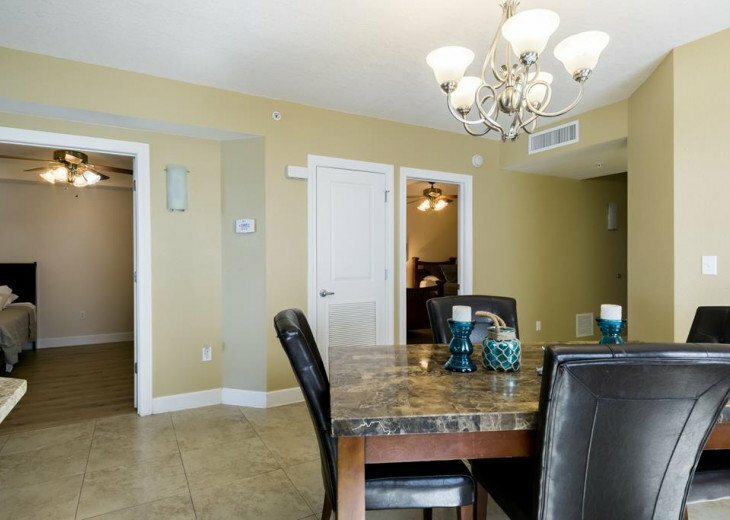 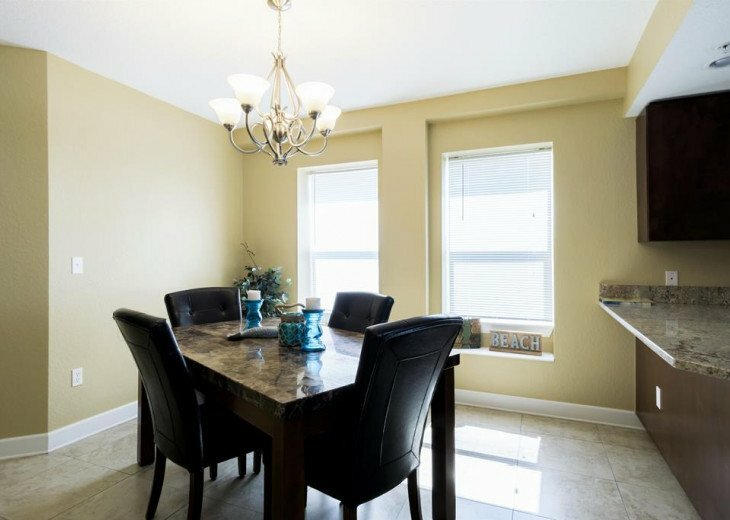 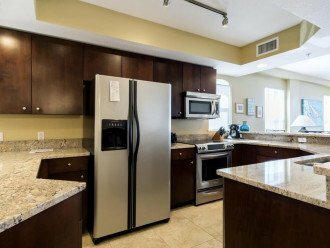 The condo is updated with new floors, furniture, and a beautiful large kitchen and open floor plan. 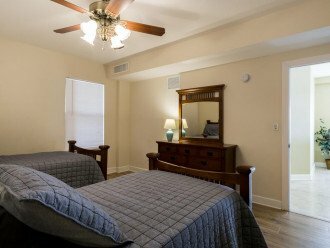 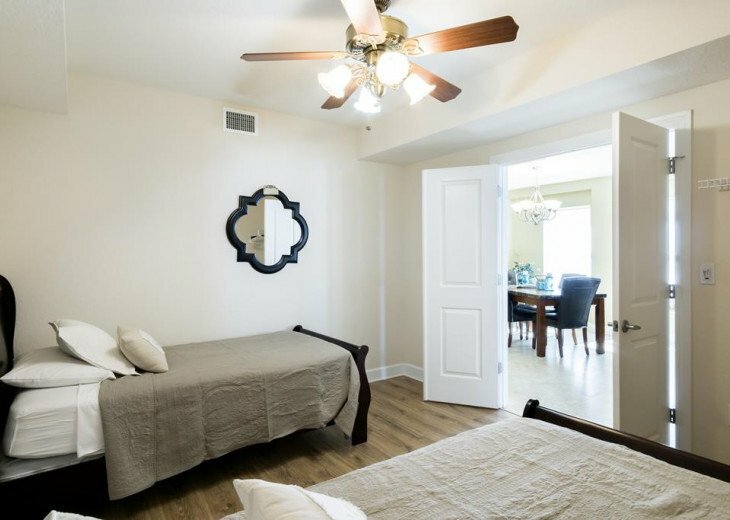 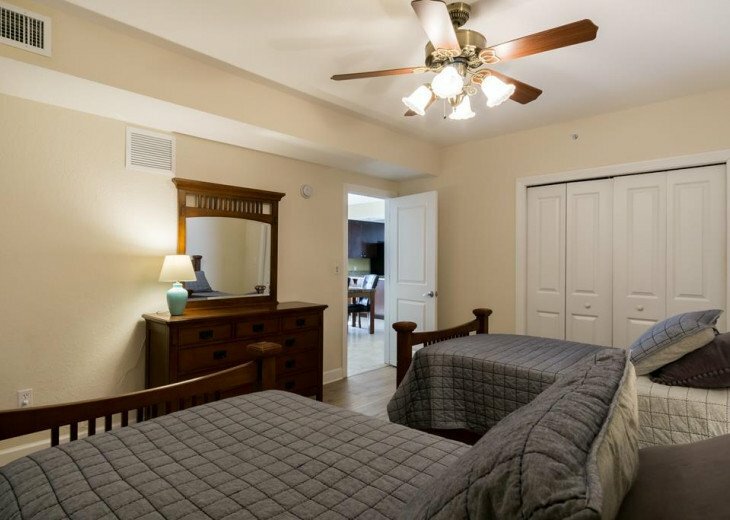 The bedrooms each have ceiling fans. 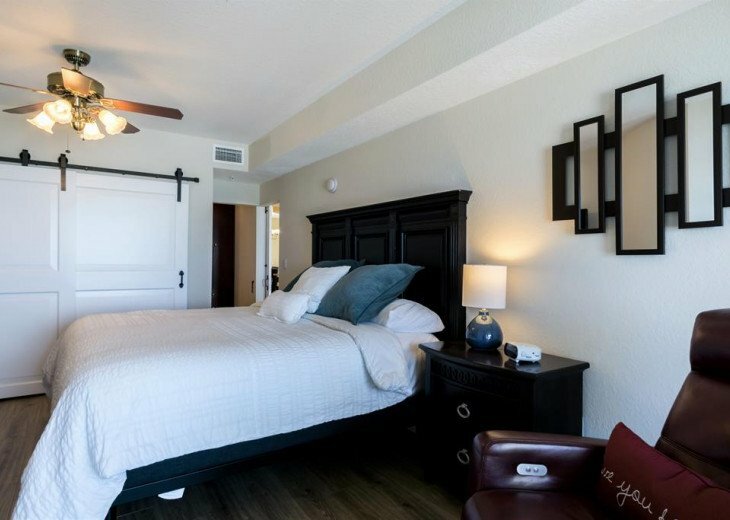 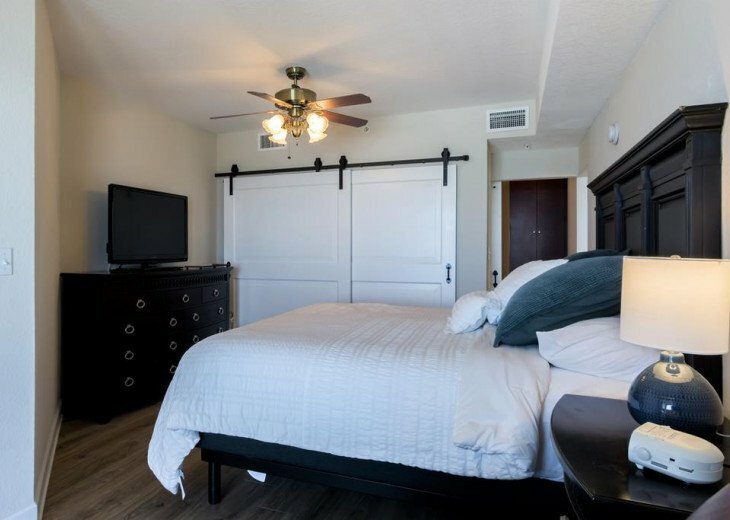 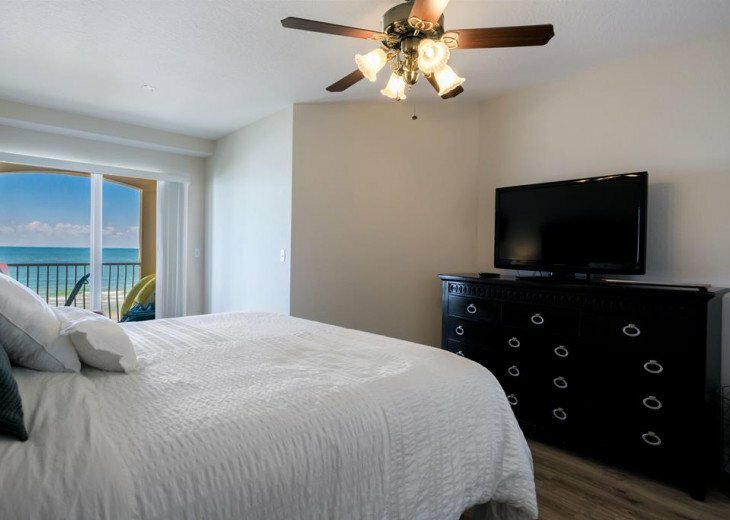 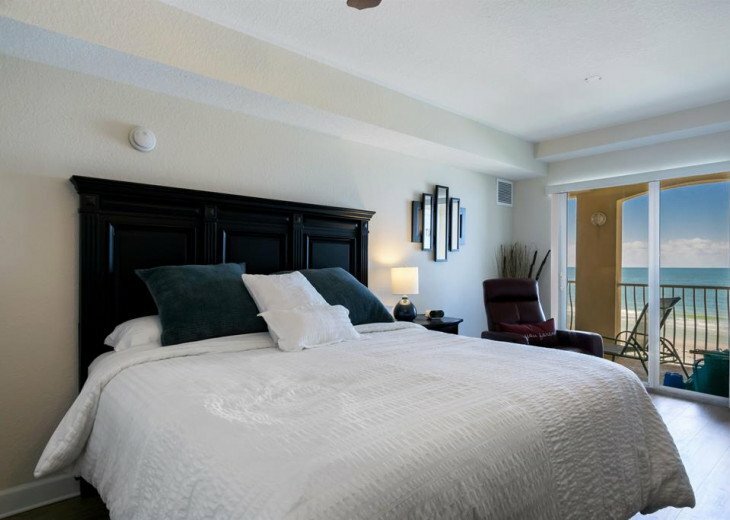 The master bedroom has direct Gulf views, a king size bed, flat screen TV, and en-suite bathroom with step-in shower. 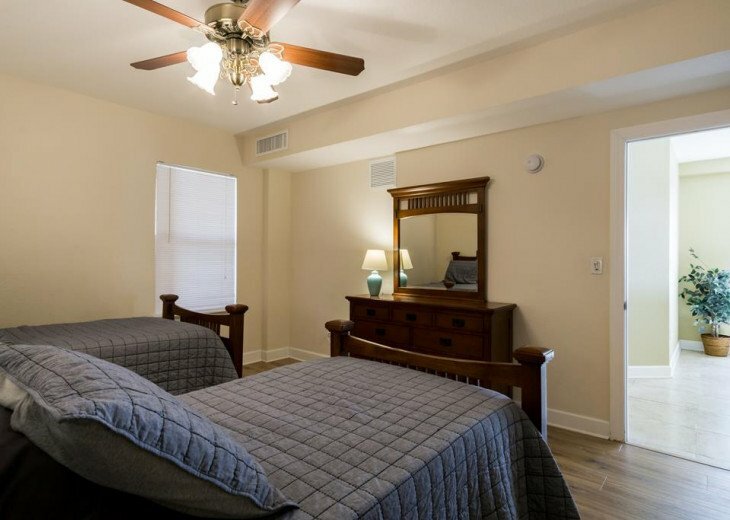 The 2nd and 3 bedrooms each have 2 twin beds. 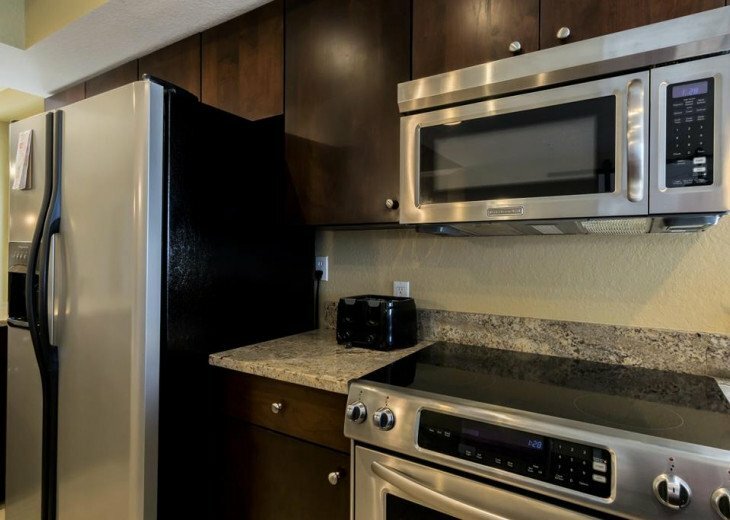 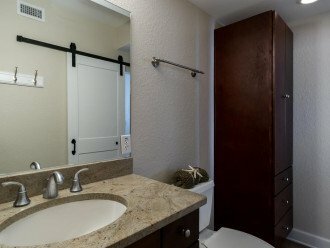 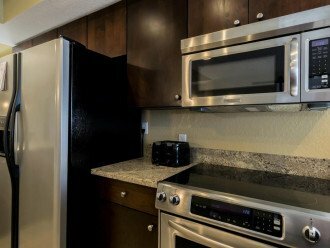 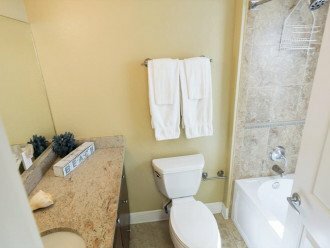 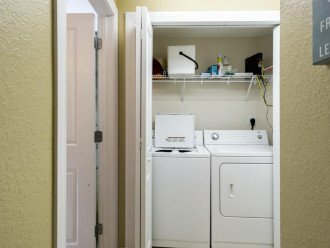 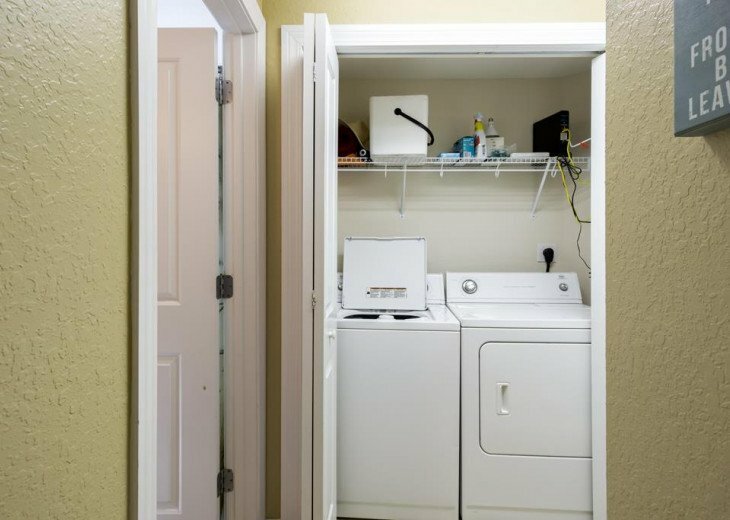 The convenience of a full size washer and dryer right in the unit is something to treasure as well. 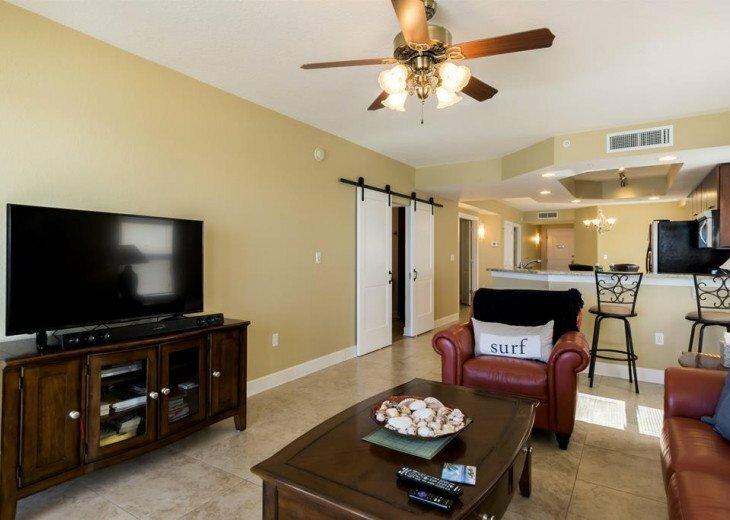 The condo has two assigned undercover parking spaces (max height is 6'10") and community gas grill and pool on property. 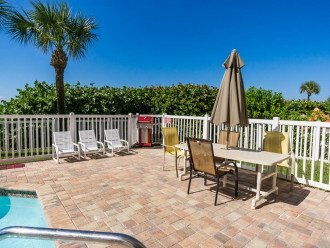 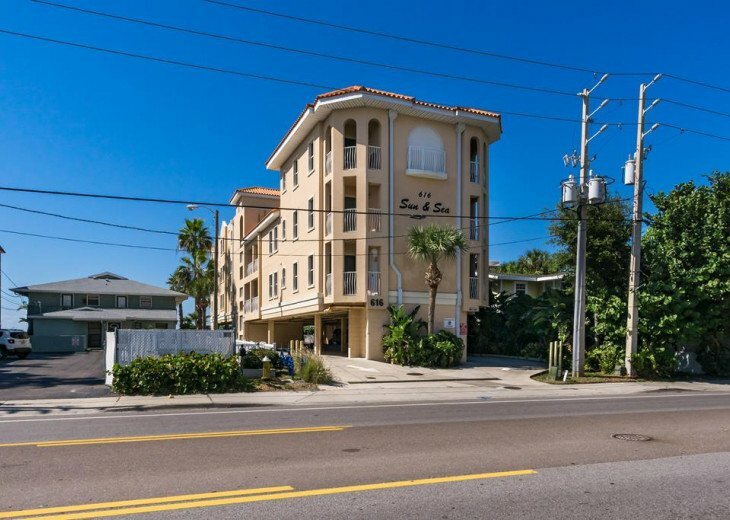 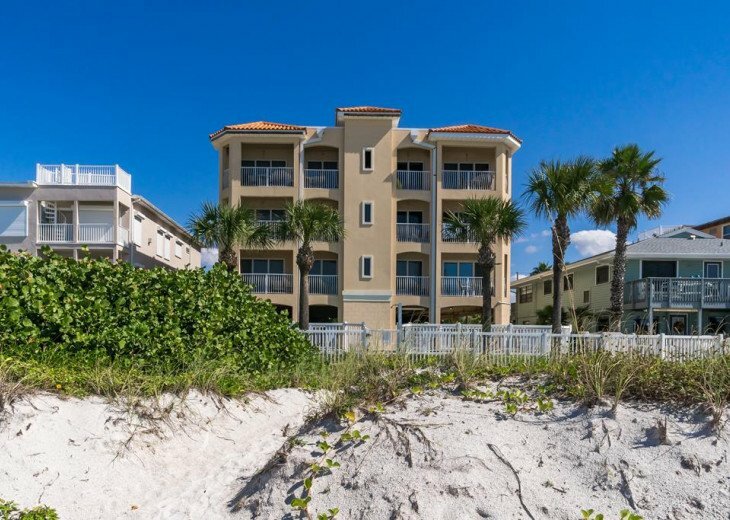 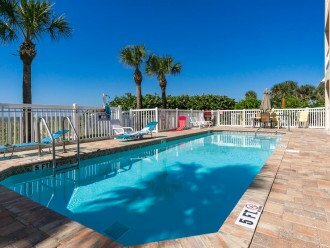 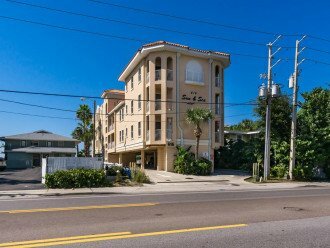 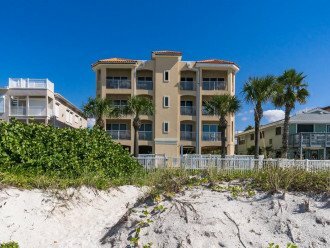 Beautiful sand dunes add to the privacy of the property and a path to the Gulf of Mexico, directly in front of your condo. Over height vehicles can be accommodated 2 blocks away.